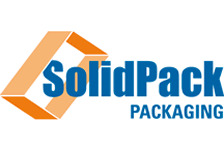 NEWS: Smart Packaging Developer? Join The Growcery at The Big Squeeze! The Growcery is an ecosystem where Brands and startups/scale-ups team up to maximize the success of consumer-centric products and business models. It gives access to a pilot infrastructure enabling rapid prototyping and pilot production for consumer-oriented innovative projects. It actively involves a diverse range of niche players and experts to deliver tangible improvements for the Growcery community through joint learning, technology standards & best practices and shared services. On 28th February 2019 it will host @ The Big Squeeze, a one-day event for inspiration and business networking in Brussels, Belgium. At the event The Growcery wants to give five companies, who are active in the domain of smart packaging the opportunity to boost their chances of new product launches. Previously known as Tech Startup Day, The Big Squeeze is an event where startups and scale-ups showcase their products, services & platforms to score new collaborations and partnerships. Also where CEOs share their experiences and insights on key scaling topics – from raising capital to expanding internationally. Pitch your innovative product, company or Proof of Concept to a group of CEOs from market leaders like Procter & Gamble, Colruyt and Deme. Also a number of investors and market specialists will be attending. The Pitch is 5 minutes long, followed by a short Q&A. Smart/Sustainable Packaging is a broad subject. Anything, from reusable drinking cups to a full end-to-end digital platform to maximize transport efficiency, is welcome to join The Growcery. The Growcery can give this chance to only five companies. Put your product in the spotlight and attract attention from big players. The Pitch is a dedicated matchmaking session.